I am elated to be accepting my very first Blogger award, and I have to say a very heartfelt thank you to Emma from Ettie and Me for nominating me for the Blogger Recognition Award. I admire so many bloggers, [including you Emma] because of your ability to find the time and energy in your busy lives to create. Writing a blog is hard work, writing a good one is a true accomplishment. So thank you again for the lovely nod, I’m so honored. The Blogger Recognition Award is given to bloggers by bloggers to show appreciation for the hard work and dedication put into their blog. For me, it’s such an honor to even be nominated for an award because I wasn’t sure people would read my blog posts, let alone like them. This award just gives me that encouraging nudge to continue to do what I love and share it. What is Ettie and Me and who is Emma? Emma’s blog is a beautiful combination of Motherhood posts, as well as home decorating tips, travel and toddler tales. I especially love reading her Letters to Ettie, which are thoughtful and detailed letters to her little baby girl Ettie. Her words are overflowing with love and admiration for her daughter, and yes it’s sappy, but so heartwarming. I also love reading her motherhood posts [like this one], because they are very honest and mirror all of our emotions as mothers/parents. When I look for a good blog to follow and read, it’s one that I can connect with as a woman, a parent, a dreamer, a human being. I want to hear someone’s point of view that moves me, and makes me react. And I also want to have fun ooh-ing and aah-ing at what you bought/decorated/ate/cooked/visited. Emma’s blog Ettie and Me is all of that in one, which I love! I began this blog four years ago after my beautiful overseas wedding, as a way to document and share pics and details of my wedding with friends and extended family who weren’t able to attend. (My wedding took place in Jeddah, Saudi Arabia and you can read about it here, here and here.) Only, I never shared it with everyone and kept it private!! And then I forgot about it, started having my babies (two in a row) and didn’t touch it for 3 years. I became a SAHM [Stay-at-home-mom] in 2016 after the birth of my second daughter, and I got caught up in becoming a mom of two. I revisited this blog this past July, after encouragement from my sister-in-law to start a blog. I have a deep passion for writing, I even majored in English Literature in college. Writing is more than just a hobby or a pastime. It’s my way of connecting to the outside world while I am home for what feels like 24 hours a day, because even when I’m out it’s mostly at the library or grocery stores. I love sharing what I have learned/discovered/visited with people, and hearing back from them is truly a magical experience. Reading your comments feels like not only you’ve been listening but you’re engaging in a conversation with me, and I love it. 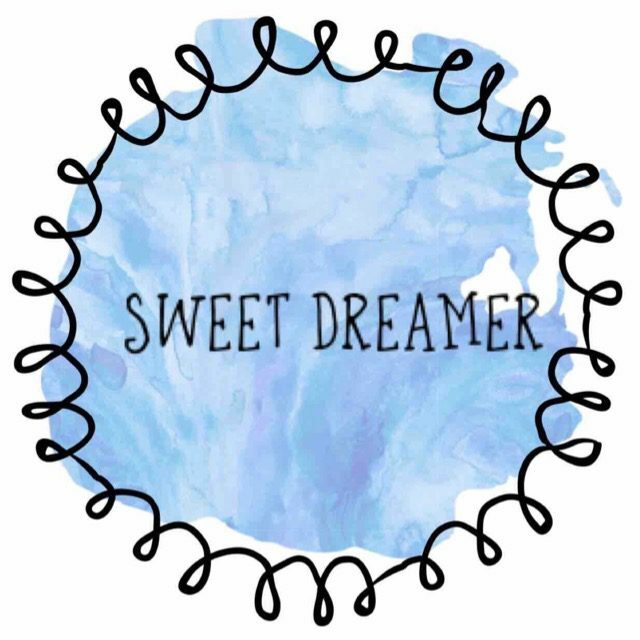 Sweet Dreamer is where I share with you my experiences, my take on motherhood, raising two wonderful daughters, the laughs and the horrors, the places we go, the things we eat, and everything else in between. Being a new blogger myself, I don’t feel as though I’m ready to start dishing out advice. But I can certainly share words of encouragement to my fellow new bloggers. Listen to your gut. We are innately doubtful and hard on ourselves as human beings. But if you feel that this is what you are meant to do, or this is what you enjoy doing, then listen to your gut feeling and just do it. Once you start, it all becomes a little bit easier. Be honest when writing. This one is still something that I am working at. It’s difficult to be so honest and candid when you make a blog public for the world to see. You’re not sure who is reading or what opinion they’ll have of your work. But try to be as honest as you can, because it just makes for better writing. Stay consistent. Keep a schedule, establish goals and stay consistent in your writing. I know for me, I sometimes start a project with full force and energy but then eventually that energy will die down, I mean I had a three-year gap in my blog. But now, I am consistently posting 1-2 blogs every week at the same time, Sunday afternoon. And promoting them as much as I can. It isn’t easy, but make time and keep at it. It’ll pay off in the end. Sure thing Shana, I’d love to. And thanks for reading & supporting!